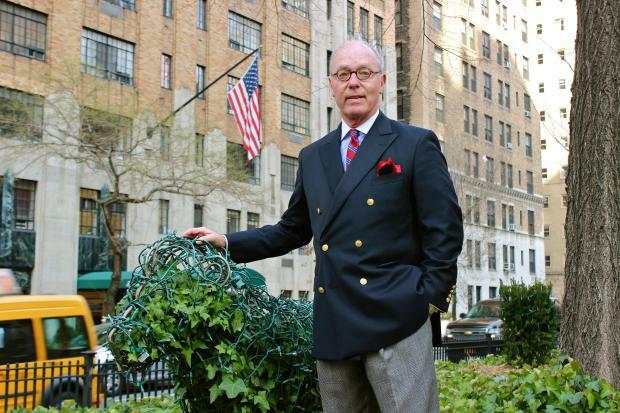 MURRAY HILL — Upgrades may be on the way to the gardens in the middle of Park Avenue. The Patrons of Park Avenue, a community group in charge of maintaining the Park Avenue Malls that stretch between 34th and 40th streets, plans to spruce up the mall's fences next year and add sprinklers and historic lamps as soon as they can get funding. “We’ve already explored getting the fences painted and repaired in two places where cars hit them, but we also want to do some accent lighting,” said John Chadwick, chairman of the group. The malls with sculpted shrubs, dozens of cherry trees and hundreds of seasonal flowers were last renovated in 1983, Chadwick said. The majority of funding for the gardening, cleaning and other maintenance work comes from annual contributions of $2,000 each from surrounding building owners. The Patrons of Park Avenue raises additional money from residents, businesses and sponsors, Chadwick said. In addition to the historic lampposts, the group also hopes to add a sprinkler system to water the plants. The organization now hires a private water vendor to come to the malls eight to 10 times per year to spray the plants, which costs thousands of dollars each year. “It costs a bloody fortune,” Chadwick said. “We lost a great many plants this year because it was so hot and dry in the summer. We couldn’t keep them watered. “We’d like to get an automatic watering system…and if we can’t afford that, I’m hoping we can at least get some water spigots,” he added. Patrons of Park Avenue is a subcommittee of the Murray Hill Neighborhood Association and is also in charge of decorating the malls and lighting a large menorah there during the holidays.